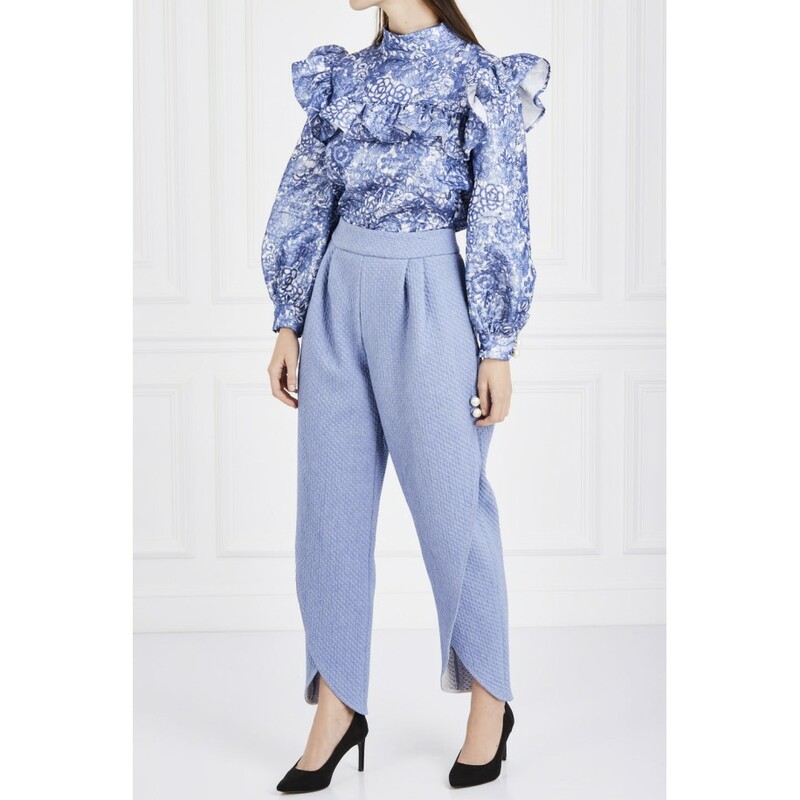 A beautiful women's blouse with a flounce AW17 LOOK 07 Poca & Poca is a sheer invitation to a flowery garden. 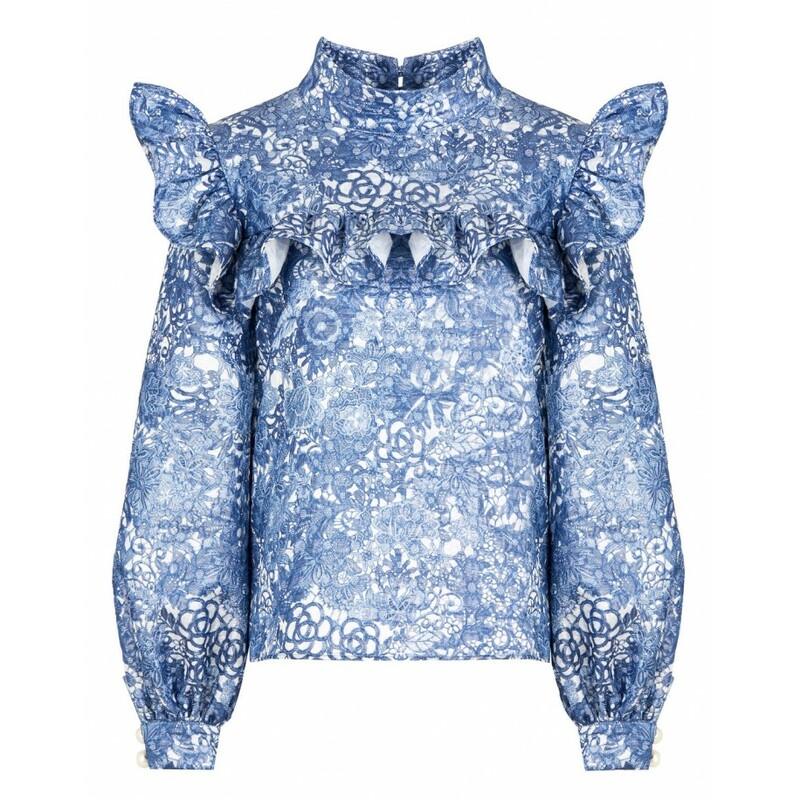 The entire blouse is made of white fabric with an intricate pattern of flowers, leaves and meandering stalks. 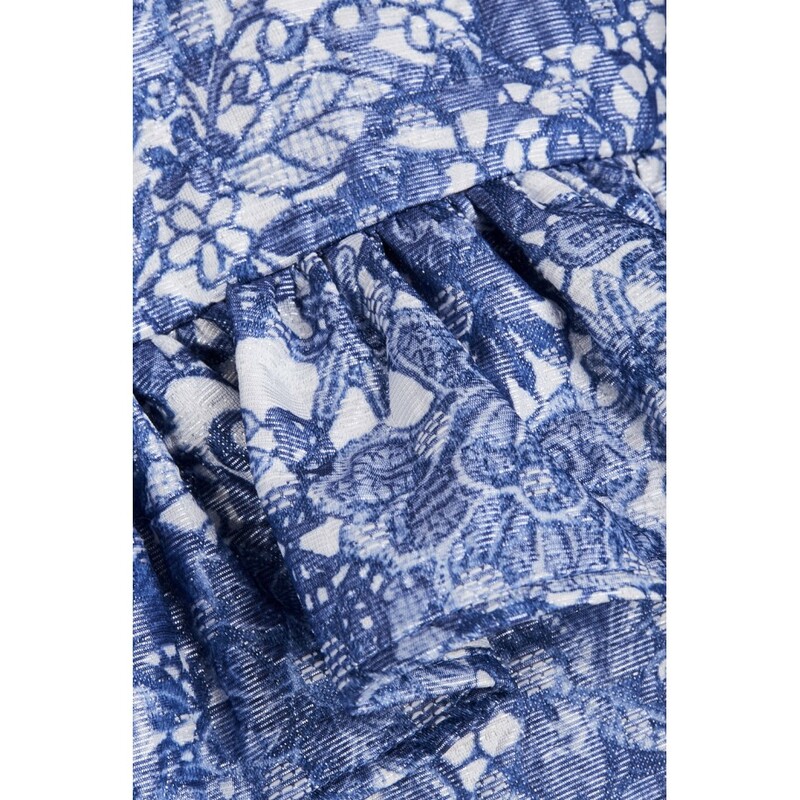 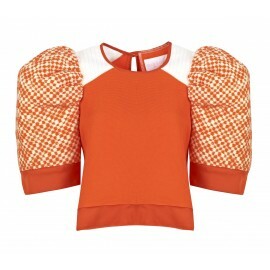 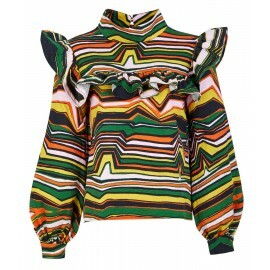 This full of freshness look is completed by a charming flounce, which optically widens too narrow shoulders. 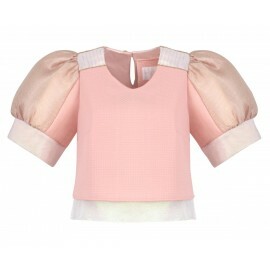 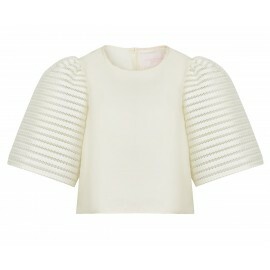 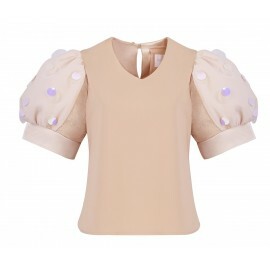 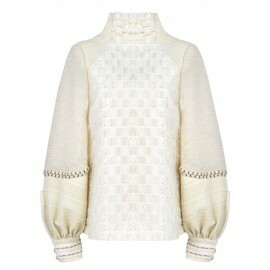 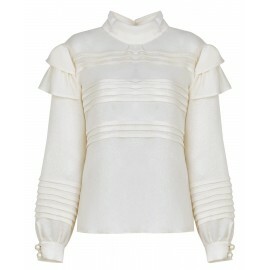 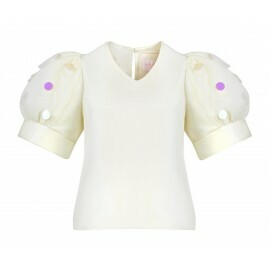 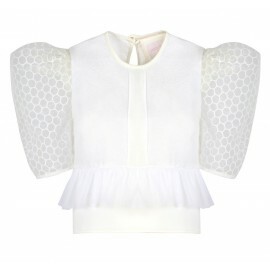 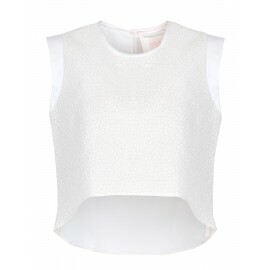 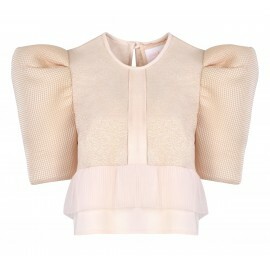 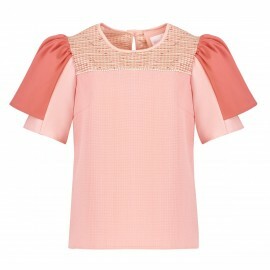 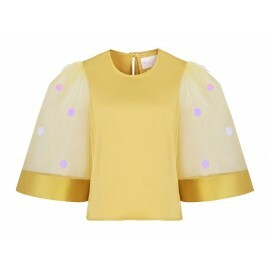 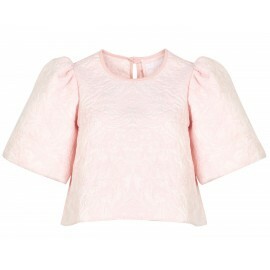 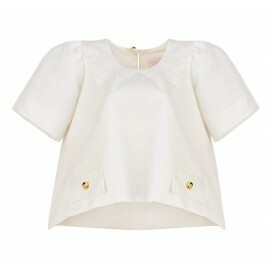 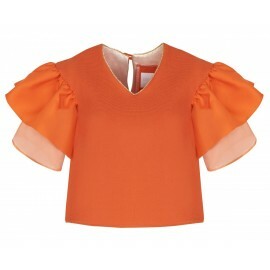 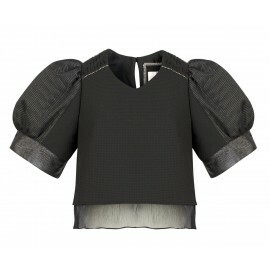 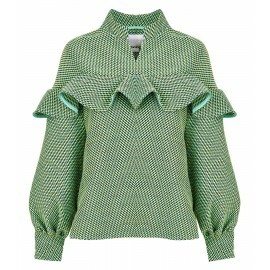 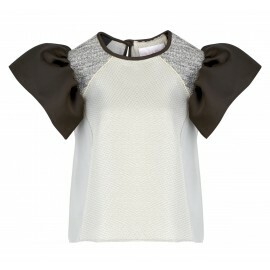 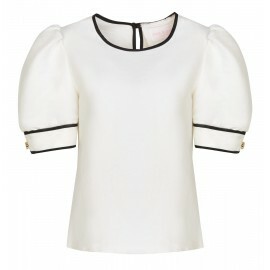 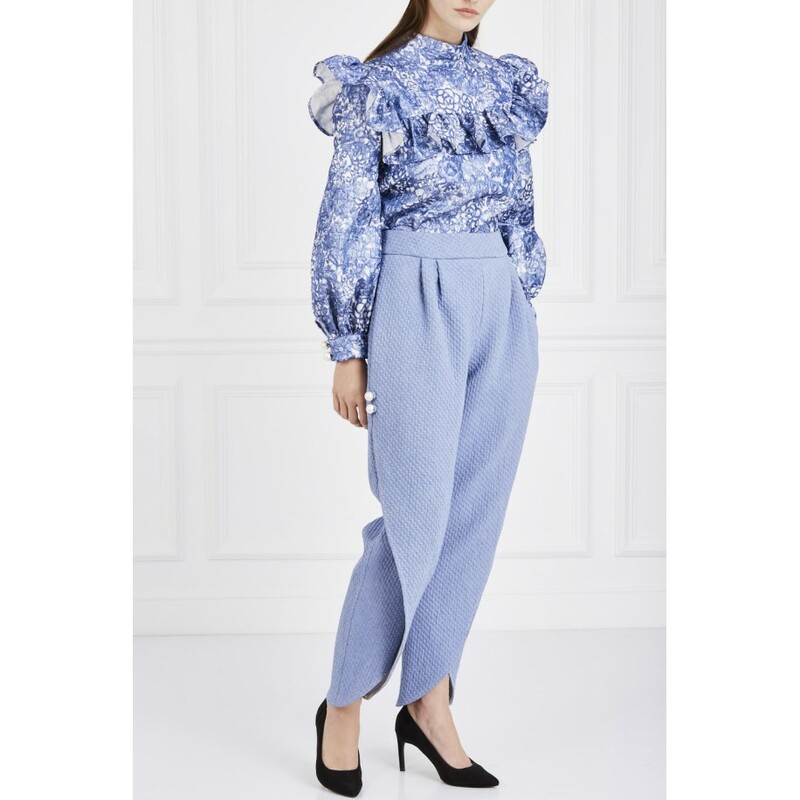 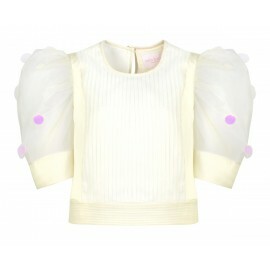 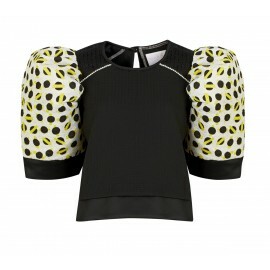 A high, stand-up collar and long, puffed sleeves are ornamented with a fastening made of pearl bubbles. 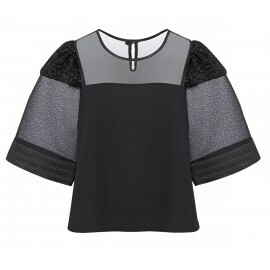 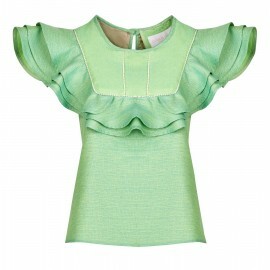 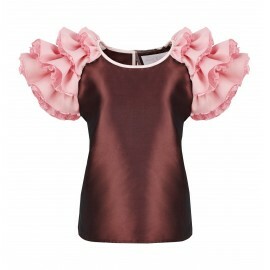 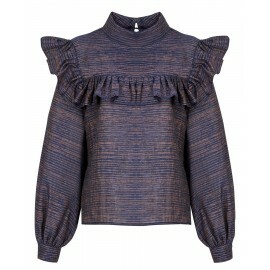 The blouse is perfect for work and an elegant event.